Add connectivity to your home with this single coax and single data jack combination insert. Pair it with any single GFCI rocker or decora wall plate for instant connection compatibility. For quick and easy installation, all hardware is included. 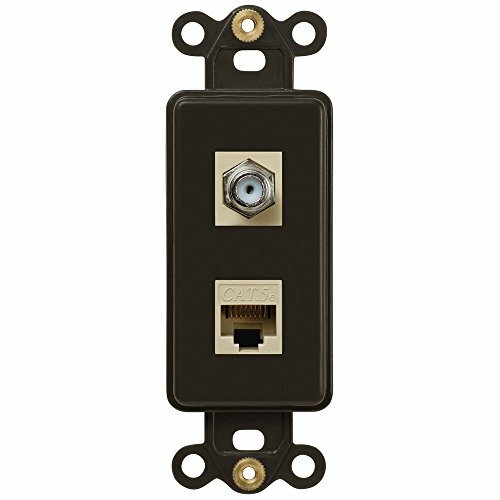 This single coaxial and single data jack (Cat 5) combo insert features a dark brown finish that coordinates with a variety of bronze wall plate styles.